The Kansas City metropolitan area is widely considered the heart of America's Midwest. With over a dozen cities and suburbs clustered together around a vibrant downtown, the Kansas City metropolitan area is growing rapidly as more and more people discover what a great place it is to live. With great culture, incredible food, and a fascinating history, Kansas City offers everything you could dream of from an urban center. Meanwhile, the nearby suburbs have thriving job markets and a low cost of living, meaning that you and your family can find great economic opportunity here. 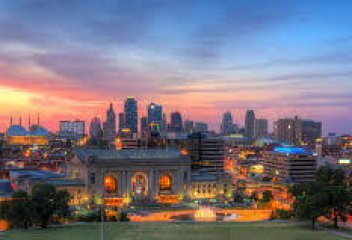 Surrounded by beautiful farmland, the Kansas City metropolitan area is filled with healthy and inexpensive food, including some of the best barbecue in the country. There are also great schools, tight-knit communities, and plenty of festivals to bring people together and enrich your life. Whether you're a young professional looking to live downtown, or a couple looking to start a family in Overland Park, you can find a community that resonates with your values and desires in Kansas City. If you're looking at the high end of the real estate market, check out stunning Kansas City luxury homes, many of which are more affordable than you might think. If you'd prefer to build your own home, search out lots & land in Kansas City. No matter which community you live in — or which state — you'll discover that the people of the Kansas City metropolitan area are kind, friendly, and helpful. You'll find welcoming communities of people who love the area where they've chosen to live their lives, and who have fierce loyalty to one another and to their neighborhoods. You can explore Kansas City's historic downtown, with its abundance of fountains and never-ending supply of cool restaurants and musical events. With tons of farmers markets and local breweries, Kansas City will ensure you always have something excellent on your plate or in your glass. You can also live in the suburbs and enjoy raising your family in a large, affordable home surrounded by great neighbors and good schools. If your ideal life involves being happy and healthy, surrounded by loving friends and family, then you can find that life here. Find out which city or suburb will work best for you with our helpful community guides, then check out our advanced MLS search tools! Blue Springs homes for sale are ideal for anyone looking to live in the Kansas City metropolitan area while still remaining close to nature. With a ton of opportunities nearby for fishing, camping, hiking, and hunting, Blue Springs ensures that residents with a preference for the outdoors will find plenty to do, while still being only 25 minutes from all the arts, culture, and opportunity in downtown Kansas City. Kansas City homes for sale are prized for the lifestyle they offer. Living in Kansas City means living at the center of arts and culture in the Midwest, with something to do around every corner. Boasting a growing population at every age, Kansas City is proving to be an attractive place to move for young people, families, and retirees alike, thanks to its small-town community feel, great barbecue restaurants, and endless supply of sporting and cultural events. Welcome to one of the fastest-growing cities in the state of Missouri. Kearney homes for sale are affordable, lovely, and conveniently-located. 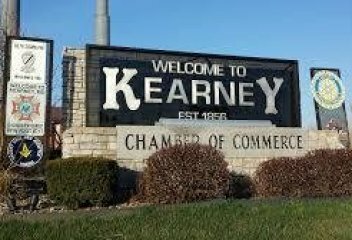 With some of the finest dining around, outstanding school systems, epic views, and exceptional outdoor recreational activities, Kearney is the place to be! In addition, it currently has a small population and cozy hometown feel. View Kearney real estate listings below or keep reading about the city further down the page. 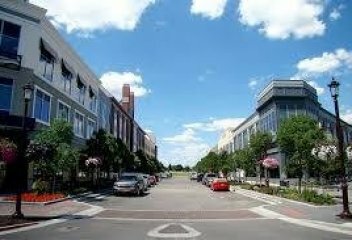 Leawood is a moderately-sized city that has seen some exceptional growth in the last several years. It’s the ideal place to raise a family or start a business. This city is mostly residential with a wonderful downtown core. It has outstanding schools, stunning park lands, recent developments, and incredible neighborhoods. 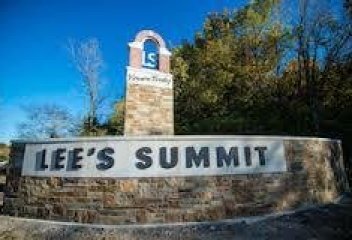 Lee’s Summit homes for sale are one-of-a-kind and reside in one of the friendliest cities around. It’s currently the 6th largest city in the state, meaning that it has all the amenities homeowners could ever want. Lee’s Summit is full of history that's mixed with modern day conveniences, which will blow any buyer away who tours the area! Anyone would be lucky to live here, from families to students to business owners. 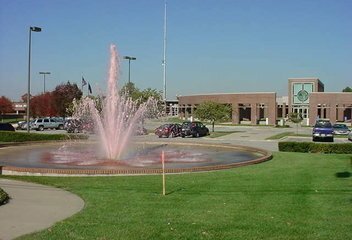 Welcome to vibrant and wonderful Lenexa. Nestled within a moderately-sized city, Lenexa homes for sale are both luxurious and charming, with most of them conveniently located near all the amenities a resident could ever need. Employment is easy to come by and jobs offer competitive wages. Schools are outstanding, meaning that this lovely city is ideal for those with families. Liberty homes for sale attract buyers from around the country, as well as buyers from other parts of the Kansas City Metropolitan Area, due to their great schools, affordable homes, and strong sense of community. Liberty is a growing area with new businesses and an influx of families moving here. With an abundance of single-family homes for affordable prices, Liberty is an ideal place to buy a starter home, or to settle in for a long and happy life. Olathe homes for sale are located at the farthest reaches of the Kansas City Metropolitan Area, though the city is easy to get to in only 30 minutes along I-35. 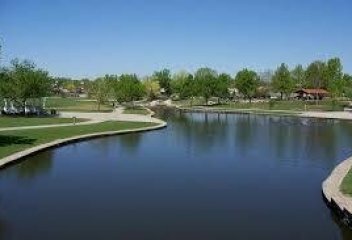 Olathe is perhaps the most independent community in the area, with its distance from the city allowing its residents to develop a strong sense of community and a quieter, small-town lifestyle. 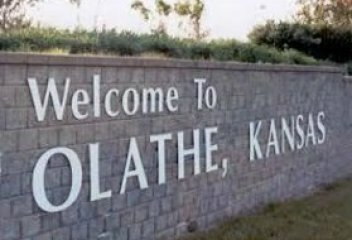 The people of Olathe are extremely accepting to new residents, so buyers can rest assured that they will fit right in! Overland Park homes for sale are located in perhaps the most sought-after suburb of Kansas City. It routinely tops lists of best places to live, because of its affordable housing market and the great schools that make Overland Park such an amazing place for families to live. Its residents enjoy high wages and record-low unemployment combined with low costs of living. 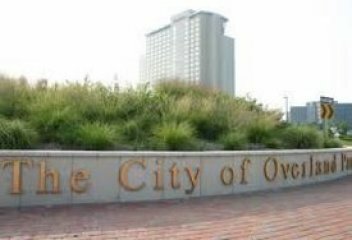 Overland Park is the first place a buyer should consider when planning to live in the Kansas City Metropolitan Area. 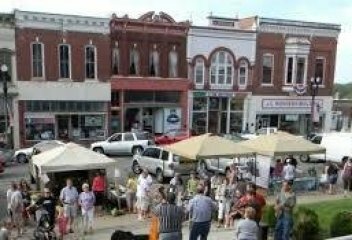 Looking for that cozy, small town feel? How about that serenity when looking right out the front door to see nothing but trees and friendly neighbors? Parkville homes for sale are located in just such a place. It's absolutely perfect for first time home owners, retirees, and small families. Amenities and schools are easy to get to, and most are even within walking distance. 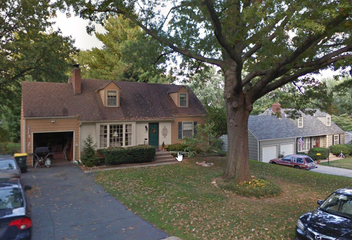 Prairie Village homes for sale are a 20-minute drive just south of Kansas City. This charming city with a wonderful village vibe has some fantastic housing options ranging from very affordable to elegantly luxurious. Whether a first-time buyer looking for that perfect starter condo, a family looking for your next home, or a retiree ready to relax and enjoy a pedestrian-friendly lifestyle, Prairie Village has all of these elements and so much more. Let’s face it: finding modern living while still feeling close to nature has grown more and more difficult in this day and age. Thankfully, Shawnee homes for sale can offer all of this and more. 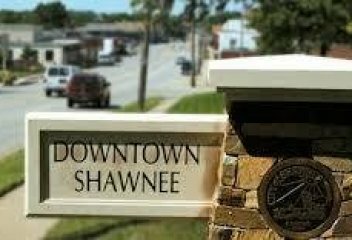 Shawnee is a moderately-sized city with many nearby amenities. 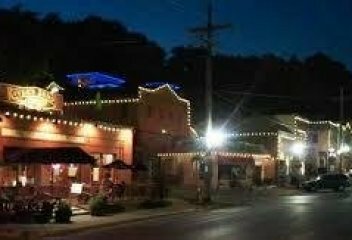 Despite its size, the city is community-oriented with long and fascinating roots that go all the way back to the mid-1800's. If you're a prospective buyer or seller looking for an experienced team to represent you, you can't go wrong with Chip Glennon Real Estate Experts. With decades of experience and a diverse skillset, our team can ensure that the process of buying or selling a home in or around Kansas City goes smoothly and quickly. With our intimate knowledge of the many communities in and around Kansas City, we can help you find neighborhoods you might never have known about otherwise. Then, we'll bring our negotiating skills to the table on your behalf and help you buy your new home at the best price possible. And when it comes to selling, Chip Glennon and his team are unstoppable. We sell a home, on average, every 33 hours, and have plenty of experience with sales that seemed difficult or impossible. In fact, we're so confident in our selling skills that we offer a guarantee: if we can't sell your home in 90 days, we'll buy it. Don't settle for anything less than our experienced team of Real Estate Experts! Get in touch with our team today! Our team knows Kansas City real estate inside and out. With a proven record of selling homes quickly and helping clients find new homes for a good price, Glennon Real Estate Experts work hard to make sure that we're a team you can rely on. We work in both states, representing buyers in both Kansas and Missouri. Whether you're moving to a home in the suburbs or finding a place downtown, we can be there to guide you through every step of the process. Glennon Real Estate Experts are here to help YOU! If you're buying or selling a home in the Kansas Metro Area, you need to talk to Chip Glennon and his team of experts. Whether it's his marketing expertise, determination, or extensive knowledge of the Kansas City real estate market, Chip will make sure you accomplish your goals. Knowing your value and your budget is an essential first step in any real estate transaction. While there's no substitute for talking to an expert, our website offers you the tools you need to get started. You can calculate what kind of mortgage you can afford, get an analysis of the Kansas City real estate market or any of the surrounding markets, and even find a lender. You can also get the Glennon Real Estate Experts to send you homes that fit your priorities, before anyone else has seen them.